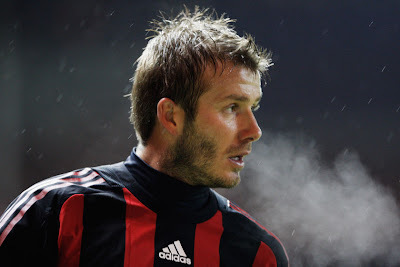 For 71 minutes tonight Becks played against United. Must have been very odd for him as I'm sure it was for United fans watching. But sod all that, what a game! United behind after 3 minutes, 2-1 up with 85 minutes to go, but by 90 minutes it was 3-2 with even the commentators struggling to keep up. Martin Tyler and Andy Gray had absolutely no clue how much time was being added on. Frantic, amazing and the reason I'm so gutted Liverpool got dumped from the Champions League so early, when it's like this, nothing beats it. Rooney, despite an early booking scored twice and if he can stay fit until June is in awesome form for a World Cup year. Second leg is going to be awesome, but this was so good I think they should have a third. On FIFA.